TS EAMCET 2019 Cut Off will be considered for providing admissions. TS EAMCET is a state level entrance exam managed by the JNTUK. This exam is conducted to provide admissions to those students willing for admissions in various engineering, agriculture & pharmacy programmes provided by different colleges and universities located in the Telangana state. The admission to these courses across the participating institutions will be based on the cut-off score. Here in this article, we have provided the detailed information related to TS EAMCET 2018 Cut Off. Admissions to students in various colleges and universities will be given on the basis of the cut-off marks. It will be released after the completion of the seat allotment procedure. The cut-off will be released by the Jawaharlal Nehru Technological University (JNTU), Hyderabad. It indicates the minimum score required by the candidates to be considered eligible for admission. The cut-off marks will be based on different factors such as the difficulty level of exam, number of students appeared for the exam and the availability of seats. TS EAMCET 2019 Answer Key will be released after the examination. JNTU, Hyderabad publish TS EAMCET answer key in two phases. Provisional key will be published earlier followed by the final answer key. TS EAMCET Result 2019 will be announced on May 2019. Candidates can check their results through online mode only. It is not be sent to the any candidates by post to their registered address. TS EAMCET 2019 Rank Card will be available through online mode. The authority will not send the rank card to the candidates through offline mode under any circumstances. TS EAMCET Counselling 2019 is comprised of certificate verification & option exercise procedure. The authority organizes separate TS EAMCET 2019 Counselling for MPC & BiPC stream. 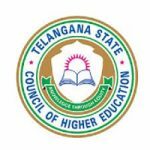 After the result announcement, candidates have to appear in the TS EAMCET 2019 counselling procedure. It is compulsory to appear in the counseling to get a seat in your preferred choices of colleges & courses. Candidates, those get a seat in the counselling process, they have to report at the allotted college in a given a time period. Otherwise, the seat will be allotted to the next candidate. If you have any other queries related to TS EAMCET 2019 Cut-Off, you may leave your comments below in the comment box. What is the cut off marks for bc b category and if only girl child then is there any reservation? Sir i have not submitted caste certificate in exam hall.iam belongs to sc.please suggest me what to do? I wanted to know that what would be the cut off marks for pharm D I mean any idea. What are qualifying marks in eamcet?and what about rankeng? Sir , i got rank 14968, caste is sc-B, may i got seat in MBBS or BDS.plz give me reply.send me list of vaccant seats in medical and BDS colleges. sir my caste BC B may i no cut off marks of bds i will get seat or not.plz reply sir.if any chances plzz tel me sir. sir my sister got 7621rank and category seat was not alleted to her if any chance tel me sir plz and also cut off in st. What is the cut off ranks in st Mbbs and bds. sir,i am sc female having cap special category. my rank is 10839 in ts eamcet3.will i get an mbbs seat? If i have scored 60 marks in eamcet3, am i eligible to apply for bds course in hyderabad,telangana? I have studied only +2 in hyderabad. What is cut off or minimum criteria for admission in bds? I got 6800 rank in EAMCET III. For BC-A , OU category. May I know will I get a private seat. l got 19913 rank in ts eamcet-3, belongs to bce, ou local. will i get BDS in ts convinor quotas. thanks sir. Sir I got 7298 rank in ts eamcet 2 2016 and I belong to bc a category and ou region can I expect private A mbbs seat ? Sir I got 4080 can I get MBBS seat in telangana, I am from BCE, which college I can expect, please reply. My tseamcet marks 140/160. I am nonlocal from au region. Can I get mbbs seat in telangana?. If yes, which college. Can u please tell me when the cutoffs will announce on official website? cut-off marks has not been announced yet. Wat will b the cut off for ts eamcet this year for sc caste?